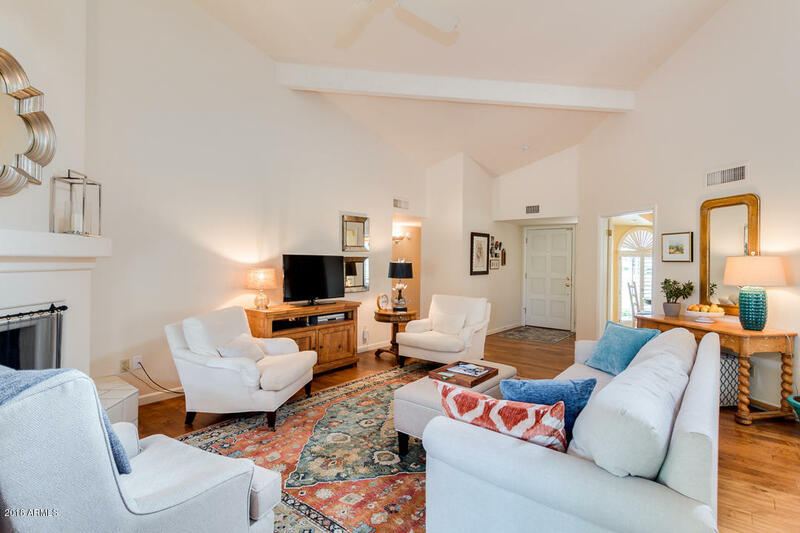 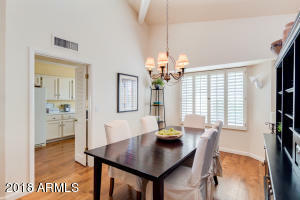 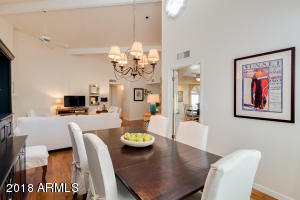 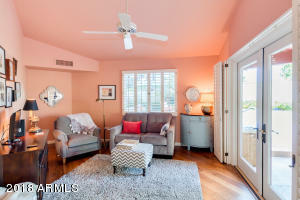 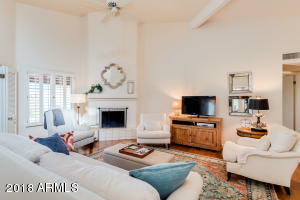 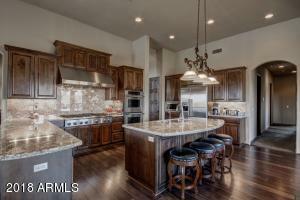 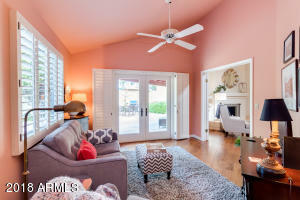 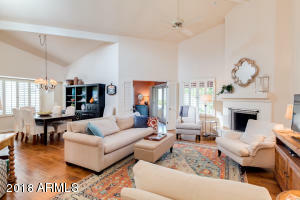 Beautiful, warm, inviting home with vaulted ceilings. 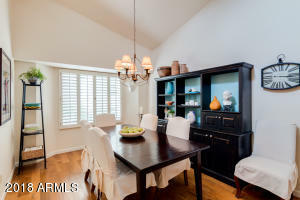 Plantation shutters adorn the windows. 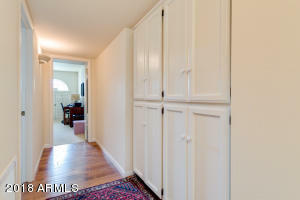 Engineered wood floors through out the main living space. 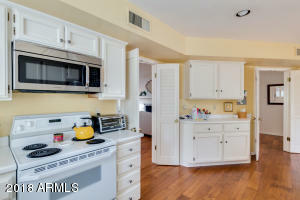 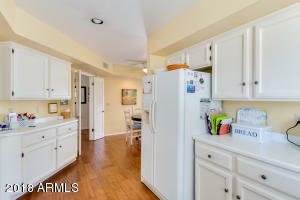 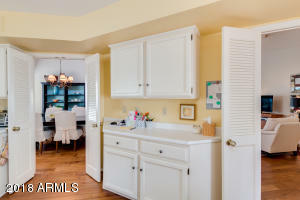 Spacious kitchen with storage galore. 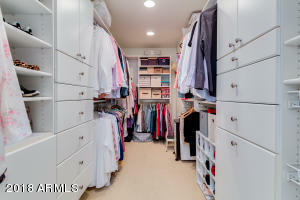 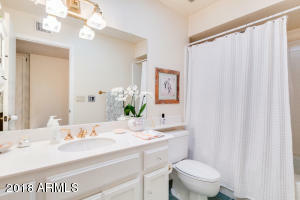 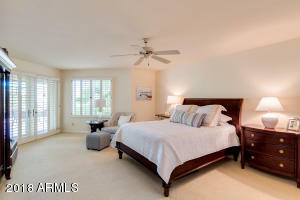 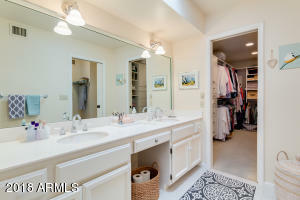 Master bedroom is light and bright with a large master closet designed by California closets. 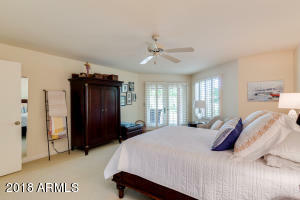 Large guest bedroom and cozy den. 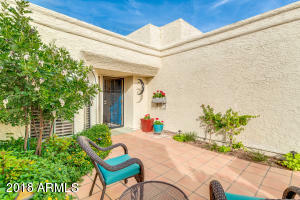 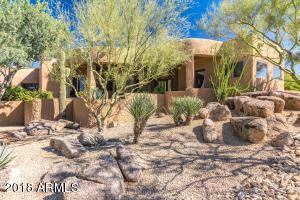 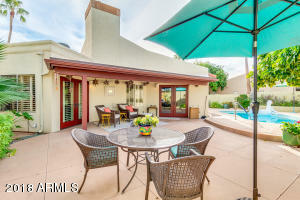 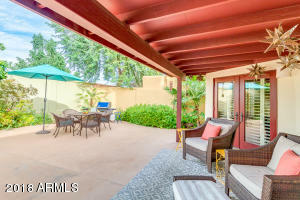 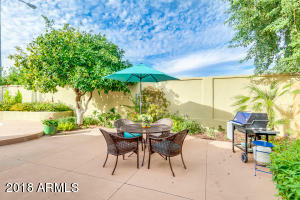 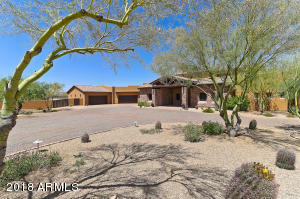 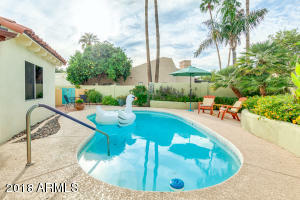 Backyard has a covered patio, sparkling pool and mature desert landscaping. 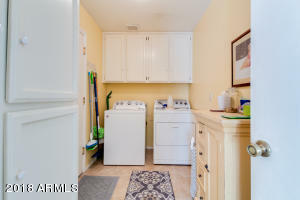 Two car garage with an epoxy floor and extra storage. 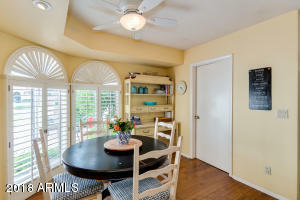 Close to several restaurants and the 101.